Torres | Morante is a Law Firm that specializes in the prevention, management and effective solution of legal conflicts during each phase of civil and commercial relationships. Our professional practices allow us to identify present and potential legal risks. Doing so enables us to design strategies that prevent and reduce such risks in the drafting of all types of contracts and throughout our oversight of each legal matter managed by our firm. 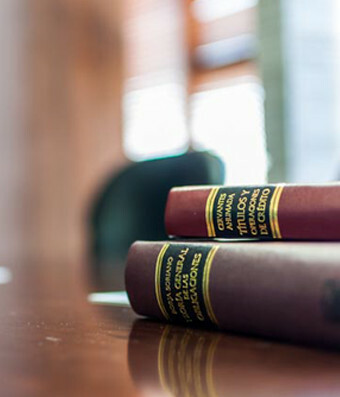 Torres | Morante has evolved in its emphasis and expertise in the areas of litigation, arbitration and risk prevention from the extinguished law firm Barrera, González Schmal, Torres & Morante. The philosophy and prestige of this law firm have inspired and helped establish the foundations of our firm: the excellence in professional services and ethics as fundamental pillars in the practice of law. In addition to the experience of our partners, the counsel provided by Don Héctor González Schmal constitutes a priceless asset to our firm that translates into an even more valuable service to our clients. Our practice is driven to advise national and international individuals and companies, so that they may conduct their businesses at a higher level of legal security, and when needed, to obtain the fulfillment and protection of their rights through alternative dispute resolution methods. The vast experience of our counselors in the practice of judicial litigation, as well as in commercial and investment arbitration, has developed in the firm the capacity to attend to issues with technical complexity and international focus. Chambers & Partners has ranked for the last three years Torres | Morante in the guide Chambers Latin America 2017 in the practice area of General Business Law – Guadalajara. In 2017 the Firm was ranked Band 3, 2018 and 2019, Band 2. "The lawyers are very talented, highly technical, profound in their arguments, and very organized." "The service is excellent. The communication is effective, they fulfil the objectives and are always available. Their clarity when proposing strategies stands out." The firm is affiliated to the most important business chambers worldwide. We are members to Barra Mexicana Colegio de Abogados, A.C.; and as such the Code of Ethics of this association governs our practice.